If you hadn’t noticed, terror activity has increased significantly around the world in recent weeks. Both the number of incidents and the cost have risen dramatically as shown in the charts. The first, from the Investigative Project on Terrorism shows the unbelievable escalation in deaths from Islamist attacks. The second shows the financial cost attributed to terror attacks as explained by Frank Holmes. Both in lives and money, the trend is not our friend. In the space of a week (the week before Easter), terror struck at the heart of four cities. Of those four attacks, three were carried out by ISIS. Even the New York Times admits that ISIS has successfully infiltrated Europe. With current immigration plans and an open border, the United States will be next. Michele Malkin says that the threat is “inside our tent” and has gone nuclear. Not long ago, making that statement (despite its obvious truth) would be called racist. Today, it is sad reality, admitted by all but the worst jihad deniers. Despite the ramp in terrorism, we have seen a decline in market impact from each succeeding event. The markets seem to be becoming immune to the threat over time. In fact, despite the severity of the Brussel’s attack, the markets barely budged. This will not go unnoticed. In fact, this will drive terrorists to increase their efforts. Remember, the goal of terrorism is to terrorize and the primary goal, at least according to Osama bin Laden was to bankrupt our economy. If traditional terror bombings and suicide attacks alone are unable to bring down the financial system, the terrorists will add new tactics. Cyber attacks are increasing as an example. In fact, the FBI acknowledges that there are daily hacking attempts on our power grid. Other major infrastructure is also being targeted. Iranians affiliated with their government made multiple attempts to take down our financial infrastructure according to recent Federal indictments. While ISIS-related terrorists have been working to internally develop cyber skills, they also are prepared to hire them from the darkest parts of the web. Federal officials are sounding the alarm that an attack is coming, potentially much sooner than we think. When I first wrote Secret Weapon, critics tried to deny attacks on our financial system. There can be no denial today. There should be no remaining doubt that ISIS and Iran and other nations would love to see the American way of life disappear from our planet. They are targeting our stock market and economy to achieve that nightmare. A worst-case event that destroyed records, drained accounts and froze networks could hurt the economy on the scale of the terrorist attacks of Sept. 11, 2001. The government response, though, might be more akin to that following the 2008 credit meltdown, when the Federal Reserve invoked “unusual and exigent circumstances” to lend billions of dollars. The government might have little choice but to step in after an attack large enough to threaten the financial system. Federal deposit insurance would apply only if a bank failed, not if hackers drained accounts. The banks would have to tap their reserves and then their private insurance, which wouldn’t be enough to cover all claims from a catastrophic event, DeMarco and other industry officials said. Wall Street banks, brokerages and other companies have grown increasingly concerned as well. It’s just a matter of time before nation-states or terrorist groups aim to “destroy data and machines,” the industry’s biggest lobbying group wrote in a June 27 internal document. That’s pretty frightening. Worse still, there is tremendous confusion regarding who is ultimately responsible to defend against such attacks. If this is national security, and it is, is it the government’s job of the industries? More than 90% of surveyed corporate executives across multiple industries say they are unprepared to handle a major attack and 40% claim it is not their responsibility anyway. Fortunately, the regulators have been mandating cyber defense for financial service companies. Will it be enough? If there were a bailout required akin to 2001 or 2008, would our economy survive? Dr. Kevin Hassett, former senior economist for the Fed and current Director of Economic Policy Studies at AEI, writing in National Review, points out that the next economic struggle would put America in a similar debt predicament as Greece entered in 2009. Dr. Hassett is a smart man and was one of the few who carefully listened when I made the rounds in DC warning of financial terror risks. Of course, using insiders to infiltrate banks and brokers would work as well. We know that insiders were a part of the Brussel’s plot. And Homeland Security long ago admitted attempts to place radical jihadists into financial services companies. Other means of financial attacks could include artificial manipulation of markets. The government claims this took place with the Flash Crash. The government charged an alleged Russian spy with seeking means to destabilize our markets through Exchange Traded Funds. There is cyber espionage that steals trade secrets. And there is basic cyber theft, as was the dramatic robbery of the Federal Reserve that took place recently, stealing nearly $100 million from the Bangladesh account and attempting to make off with up to $1 billion. The key to this theft was access to the SWIFT transaction system. The latest development is a possible new concession the Obama administration reportedly plans to make to Iran to give it access to U.S. financial markets. Iran also would be permitted to “dollarize” payments. Obama officials reportedly are considering opening U.S. financial markets to Iran because Tehran has been complaining that it did not receive enough sanctions relief from the nuclear deal. Apparently $150 billion in sanctions relief and a reported $1.7 billion dollar payment by the United States was not enough. If true, this move would violate assurances provided to Congress by Treasury Secretary Jack Lew last July that the nuclear deal would not allow Iran access to U.S. financial institutions or enter into financial arrangements with U.S. banks. “Lifting this restriction would violate Section 311 of the USA Patriot Act, which designates the entire Iranian financial sector as a jurisdiction of primary money laundering concern. Mark Dubowitz and Jonathan Schanzer noted in a March 28, 2016 Wall Street Journal editorial that granting Iran access to U.S. financial markets goes against claims by Obama administration officials last summer that they would not make this concession in order to give the U.S. leverage over Iran after the nuclear deal was done. The reason is that the Obama administration will do anything to protect the Obama Bomb nuclear deal with Iran because it regards this as a legacy agreement for Mr Obama. Iran knows this and is certain to press for more U.S. concessions through the end of the Obama presidency. It is crucial that Congress on a bipartisan basis begin to investigate and speak out against this new concession that will worsen the fraudulent nuclear deal with Iran. The world’s leading state sponsor of terror should not have access to the U.S. financial system. The planned concessions could include access to the U.S. dollar and financial markets, which the Obama administration promised would never take place under the deal, according to recent disclosures first reported by the Associated Press . . . The reports have generated harsh responses from lawmakers, who say that the administration’s plans would endanger American economic influence and put the entire international financial system at risk from Iran’s illicit finance and money laundering activities. Even President Obama has admitted that Iran has not been a faithful partner in the accord his team negotiated, violating the “spirit of the deal” even as some in his administration have sought to grant Iranian access to our markets. Fortunately, last Friday, the President appeared to reject that idea, at least for now. Let’s hope he doesn’t give later. Don’t be complacent. Terrorism is increasing, not declining. 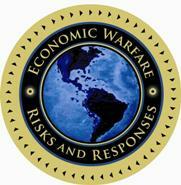 The threat is escalating and the next target may be our financial markets. A successful attack could make America the next Greece. Our enemies know this. So, why would we want to make it easier for the #1 state sponsor of terrorism? The NSIC Institute continues to work with the Center for Security Policy in identifying, studying, and reporting on these threats. We are making efforts to educate the major political campaigns, hoping the next Administration takes these concerns more seriously. Next post: China: Why Do We Always Play By Their Rules?